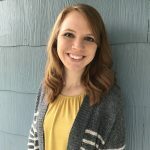 Today’s guest blogger is Anna Schaeffer, my administrative assistant at Southeastern Seminary. She is an MA graduate of SEBTS, and she’s the author of All of This, a Young Adult Christian novel. A few weeks ago, I hit a rough patch. Lots of things went wrong all at the same time. I wasn’t walking through tragedy – just the heaviness of life. Yet I still felt so run-down by everything that was happening, it all made me want to stay home and take a lot of naps. My prayers didn’t make everything snap into place. Nothing about my circumstances changed overnight. But, God began to help me see the wonder of who He is as He walked with me through those challenging days and continues to walk with me now. Remember. Call to mind times God has shown Himself faithful before—those times He led you through something you couldn’t imagine yourself enduring. Read in His Word about how He walked with His people through difficult days in generations past. Praise. Praise God for His faithfulness. Praise Him that, even if you can’t necessarily feel His presence, He’s with you in the middle of your mess. Why? Because He promised. Look. Whenever I’m overwhelmed by life, I zoom in on the small things. I look for evidence of God’s character in the everyday moments of life, like the beautiful sunset reminding me of His creativity, the warm smile of a friend reminding me of His gift of community, or the smell of dinner in the oven, reminding me that God provides for my daily needs. Record. Write down your struggles in a prayer journal. Pour out your heart to God. Keep up this practice as you walk through your challenges. Then, the next time you face hardship, you’ll have a reminder – a memorial stone – of God’s steadfast love. Share. Tell of God’s faithfulness to others. When someone asks how you’re doing, be honest about your challenges, but also be quick to share those God-designed details you’ve been collecting. Not only can this encourage another struggler, but sometimes hearing ourselves say something out loud bolsters our own resolve, too. I’m not a master of weathering difficult days. Far from it. At the end of the day, though, Christ is my reward. Knowing that, I am able to worship in my weariness. What about you? How do you seek God when you’re weary?